This new addition to Raspberry PI is interesting. I have a few hat’s laying around and the form factor is a bit larger than what I recently plan for a modular PLC, but it is not horrible. In fact, this is what I started out with. All my Hat’s will fit onto a A+ making a PLC alike system. The reason I wanted to increase size was mostly space for galvanic isolation and connectors, but as I made the prototype I also realized this would be far to big for my usage. I is still very attractive to have a powerfully Linux computer as a module, thought I do admit that ESP32 is much better low cost wifi solution. 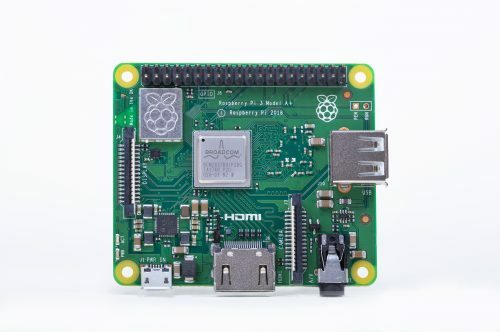 Raspberry PI have come a long way and it is actually only 2 weak sides of this design. (1) it’s IO is limited, and (2) it lack Flash booting. Booting from a SD or Micro SD makes it vulnerable for vibrations that we have a lot of in robotics. I already have a 5 port Serial/CAN adapter for this, so I will brush the dust of that one regardless of what I do. Using this format is doable, and both RPI3A+ and RPI3B+ are great for heavier processing and larger HMI units. Returning to Raspberry PI versus ESP32 versus STM32 my choice will probably be not to chose. I can use them all. I made a ES32 Zero clone and I can easily make a A+ clone that provide Wifi at a lower cost with a few IO options.